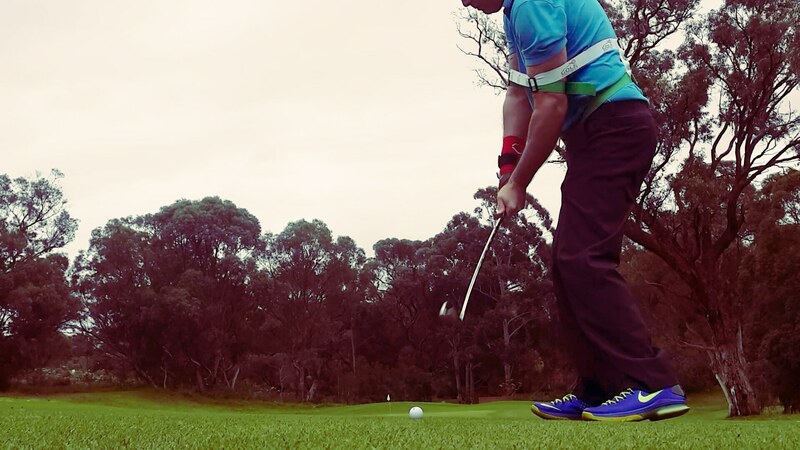 You’ll enjoy the feel of “whipping” clubhead speed, connected mechanics, and strength for power drives! 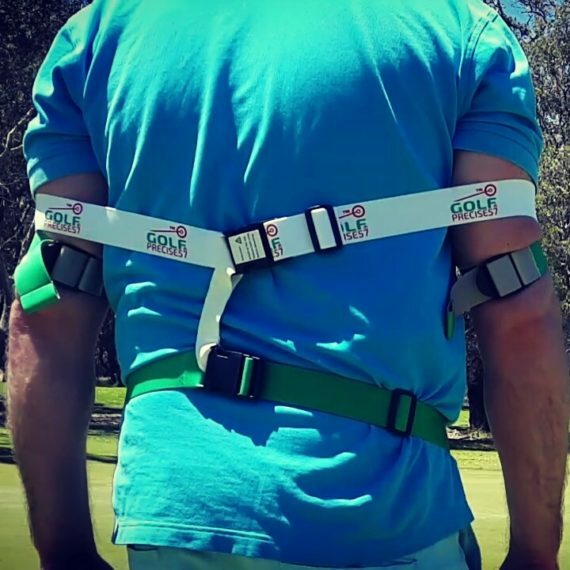 Sport Precise is a world-first training method, activating and strengthening automatic power golf muscles, improving clubhead speed, and mechanics; throughout regular golf play, and practice. Exoprecise is the driving force behind our Golf Precise-57, accommodating a world-first Sport Precise training method, throughout, repetitive swing movement in an “automatic” state of mind. Critical to activating, stimulating, and strengthening; power golf muscles. See more about the unlimited training options. Reacting to the movement of your elbows, in any direction. Simultaneously expanding, contracting, and morphing to your automatic movement; igniting speed, strength, and precision. Silky-smooth, lightweight, and intuitive design; accommodating an unrestricted range of motion for Sport Precise training. Anchoring at the elbows, surrounding your torso, producing 360 degrees of Exoprecise resistance. 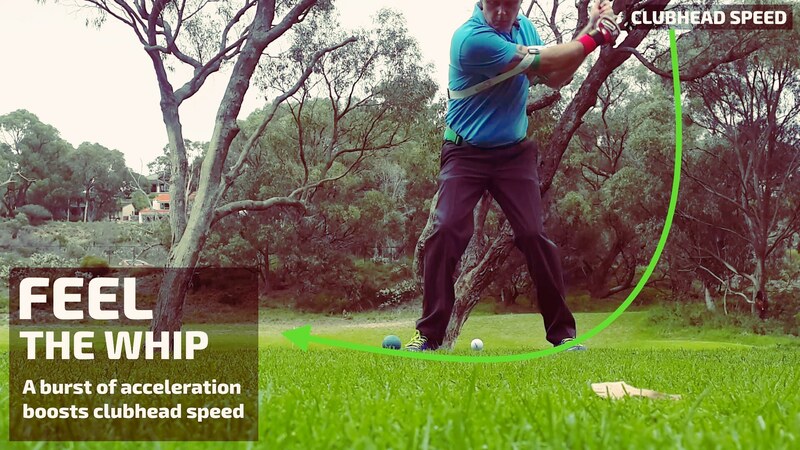 See more about clubhead speed. 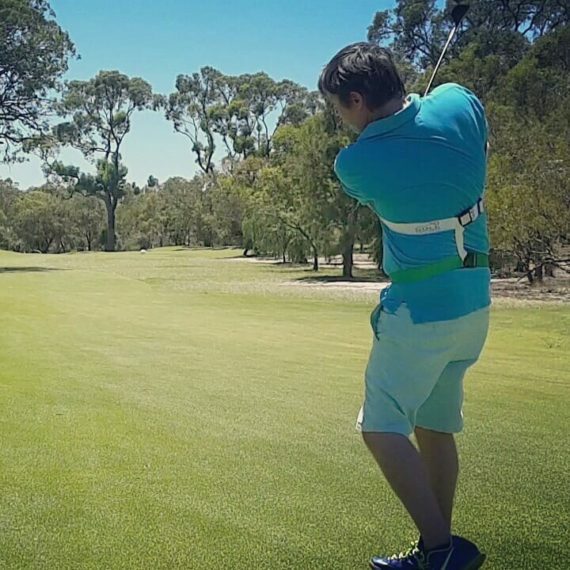 Throughout your swing, our golf trainer exerts the precise amount of resistance to your elbows, navigating the optimal distance from your body; improving mechanics, and fixing mistakes. See more about golf mechanics. 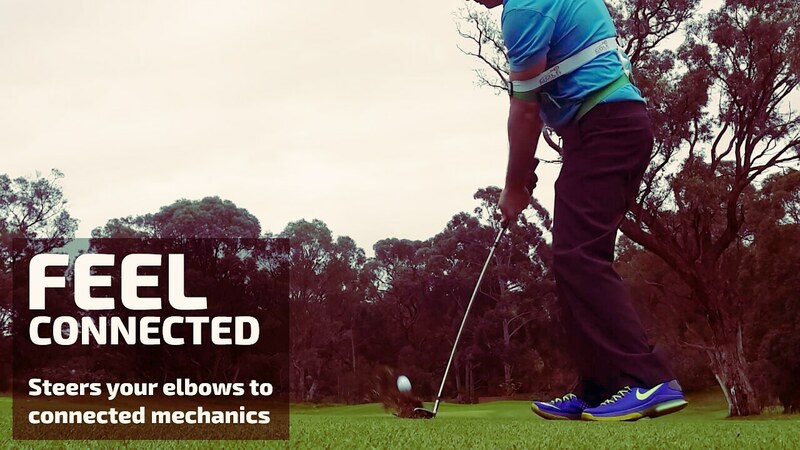 Moving the elbows away from your body creates an outward pushing force, producing the precise amount of resistance to strengthen automatic golf muscles. Raising your elbows demonstrates the basic principles, as Exoprecise resistance strengthens the thoracic core, obliques, intercostals, abdominal, releasing triggers the acceleration back to your body, stimulating the acceleration/deceleration muscles of your shoulder; nurturing fast-twitch muscle fibers. Adjust the size for a snug-fit, anchoring the Exoprecise throughout your golf and swing. Stretch, and slide your arms inside. For best performance position on the skin, directly above your elbows, alternatively, wear around your sleeves. Enabling the alignment of both ROM1 Stabilizers to the hip bones, streamlining the performance of your Golf Precise-57. Clip-in the Axis Stabilizers to secure the ExoMorph around your torso, aligning to the spine, improving balance and performance. During your follow through the ROM2 Stabilizer and ROM2 Bridge, anchor the ExoMorph in place; as both arms rise above your shoulders. See more about sizing and fitting. Our customers include elite professionals, however, we want to hear your Golf Precise-57 story! 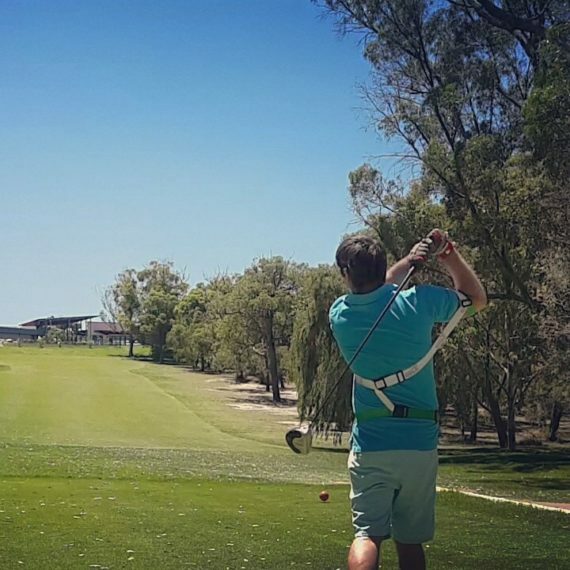 Email images, and videos to my@golfprecise.com, or upload to any social media site using #MyPrecise57 – you don’t need a perfect golf swing, we enjoy sharing stories of everyday golfers; having a go!